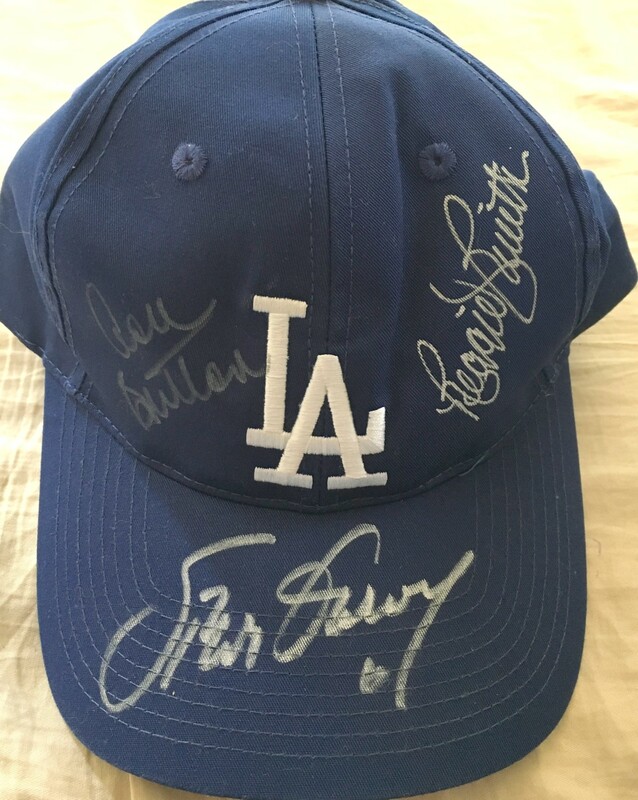 Los Angeles Dodgers replica adjustable size cap or hat autographed in silver paint by Hall of Fame pitcher Don Sutton and All-Stars Steve Garvey and Reggie Smith, three key members of the great 1970s teams. ONLY ONE AVAILABLE FOR SALE. Obtained in person at celebrity golf tournament many years ago. With certificate of authenticity from AutographsForSale.com.